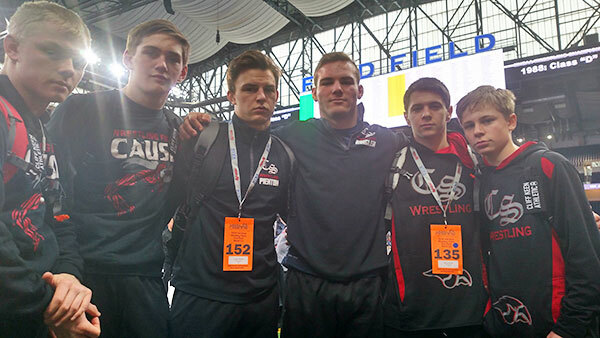 Tag Archive | "Lucas Pienton"
Six individual Red Hawk wrestlers competed at state last weekend (L to R): Jacob Galinis, Anthony Brew, Lucus Pienton, Ryan Ringler, Trevor Marsman, and Aaron Smith. That’s the first time Cedar Springs sent that many since 1992. 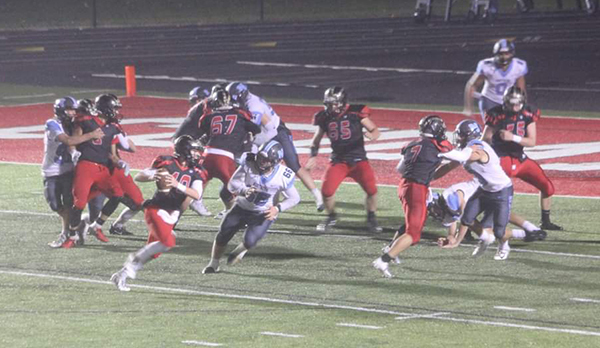 Six Red Hawks earned the trip to Ford Field to compete in the MHSAA State Championships last weekend. “They would like to thank all of the family and friends who made the journey and shared in the adventure. 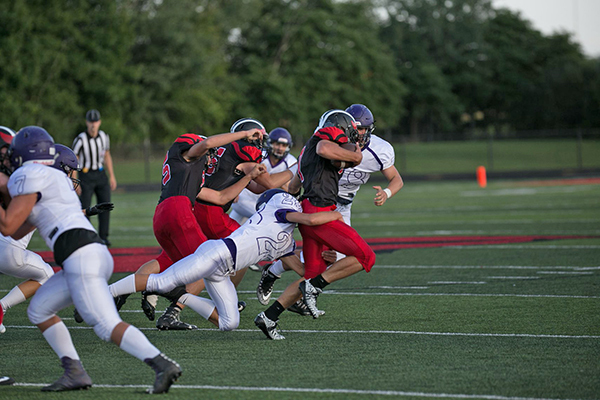 It wasn’t easy but it was worth it,” said Coach Nick Emery. Trevor Marsman, Aaron Smith, Jacob Galinis, and Anthony Brew all made their first appearance at the State tournament and wrestled tremendously. The boys trained hard and were grateful for the opportunity to compete. Marsman, Smith, and Brew will look to return next season and stand on the podium, while Galinis walks away as one of the most decorated Red Hawk wrestlers of the decade. Lucus Pienton and Ryan Ringler were no strangers to the State Tournament. Both juniors placed third as sophomores and made the trip down their freshman season as well. Pienton dropped a quarterfinal match to the eventual runner-up but went on to win three straight and take third place once again. He finished the season with an outstanding 50 victories, Already a two time medalist, Pienton will look to cap off his sensational career next season with a State Championship. Ryan Ringler has been on a tear since he began as a freshman. A third place finish as a freshman and sophomore wouldn’t deter him on his quest for a championship. Ringler breezed through the opening round, then captured a 7-4 decision in the quarterfinals. His semifinal matchup with Juawan Vines ended in a tech fall. Next up came Cade Dallawitz, a 54-4 junior from Holly. Ryan scored the first takedown then never looked back, claiming a 9-4 decision and a State Championship for Cedar Springs. 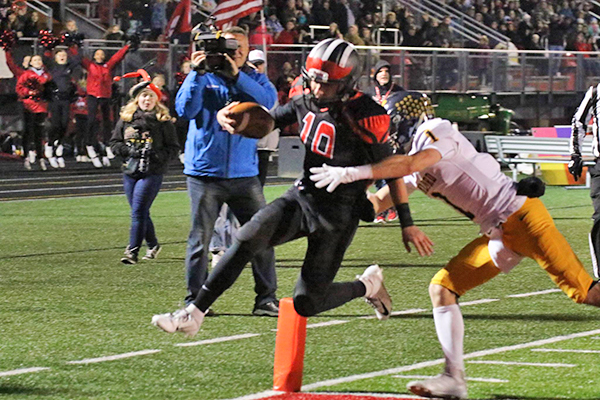 The State Championship is the first by a Red Hawk since Dean Myers in 1998, and the 11th in program history. With 55 wins, Ringler also set a new school record formerly held by heavyweight teammate and state runner-up Patrick DePiazza, who claimed 54 wins in 2016.